BuiltRite Wells offers a wide range of residential products and services. These include installation of pumps and tanks, repair work on existing pumps and pressure systems, pump retrieval on fallen or stuck pumps, well certifications, inspections , flow tests and more. We use only top quality parts and dependable pumps and tanks. We also carry a line of proven, long lasting variable speed pumps that provide constant pressure through your home. The National Ground Water Association recommends that all residential wells have an annual water test. This can detect the presence of harmful bacteria and can also identify potentially harnful chemical compounds that may have leached into your underground aquifer. If your water test indicates the presence of total coliform or E. coli bacteria and a sanitary survey does not indicate any obvious source of contamination, you should consider giving your well a chlorine shock. The chlorination process is effective in treating bacterial contamination in well water. 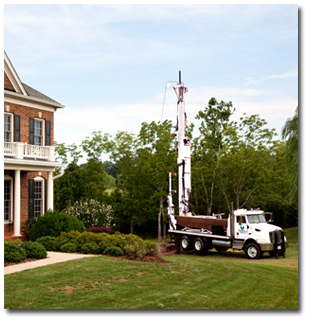 BuiltRite has chlorinated many wells and can go over this process with you in great detail. Private household wells constitute the largest share of all water wells in the United States. Over 13 million year-round occupied households have their own water well. Michigan is the largest state market, followed by Pennsylvania, North Carolina, New York, and Florida. Irrigation accounts for the largest use of groundwater in the United States. Some 53.5 billion gallons of groundwater are used every day for agricultural irrigation. In 1900, the U.S. used only 2.2 billion gallons of groundwater daily for irrigation.